As I type this, I am undecided about what to make. Yes, this week's recipe is Antique Caramel Cake. That should narrow down my recipe choices...to one. (One would think.) My first instinct was to go rogue. I just don't feel like making a cake. I'm in cookie mode right now. These cookies were a hit last week. And it is getting close to the festive season...and my freezer is very low (empty in fact) in the cookie department. Sheri of Pork Cracklins came up with the idea of making the cake into cupcakes. (Brilliant!!) And now I'm thinking maybe I should make the cake...in cupcake form. Strangely, I'm more comfortable going rogue, than making a cake recipe into cupcakes. The idea of changing a recipe is a little daunting for me. And yes, I realize it is only a change from a cake tin to a cupcake tin. Tin? Who says 'tin'? Okay, just googled it...people do say cake tins. Whew, now I only feel 80-ish, rather than a 100-ish. Would you like some rock candy? It is a "it's so fluffy I could die" moment for me. And I am a relative newbie to the Doctor. But it really drew me in and now I can't wait to get back in the Tardis! If Doctor Who has taught me anything (and no one even remotely asked, but I feel I need to share this so yes, you're in this with me...just sit back and pray it will be over soon and that I'll remember I actually have a recipe to start). 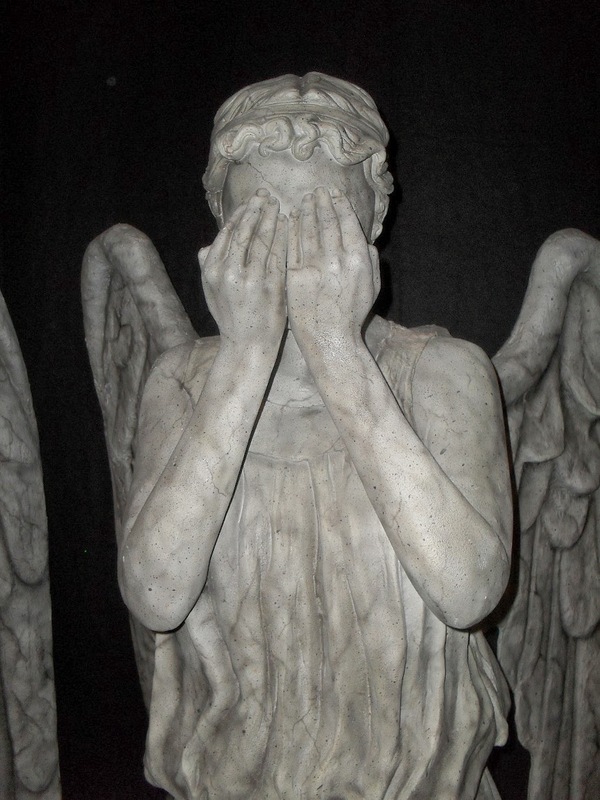 So as I was saying, if Doctor Who has taught me anything, it is to not trust weeping angel statues. I didn't even know they were a problem. But now I do and I'll never blink again. Oh they look all sweet and innocent. (Who's that then?) 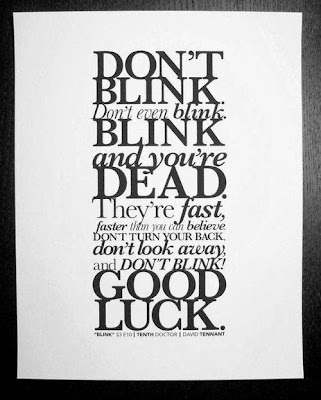 The weeping angels! (Oh, we're still on that.) Yes! This is important! Pay attention! But as soon as you blink, bad things happen (still talking about the angels here). So before I move on and start this recipe, let me leave you with some sage advice. So I'm starting the recipe. I've moved on...no more Doctor Who. And I will in no way mention that we watched Day of the Doctor twice yesterday. And Hubbie is in no way making me listen to (and watch) musicians covering the music from Doctor Who. Oh hey, what's all this? Cute muffin liners. Yep, I went with cupcakes rather than a cake...even though I'm not great with making cupcakes. Perhaps Doctor Who can save me. Well, they came out okay. And as suspected, I did put a little too much batter in some of the liners. It is better if the baked cupcake doesn't go over the liner (and then stick to the pan). And I may have baked them a smidge too long...some edges got a little dark. Nothing a little caramel frosting can't cover up. Frosting ingredients. Yep, that's cream cheese, along with some butter, brown sugar, cream, salt and confectioner's sugar. There was boiling of butter and brown sugar involved, and I got through it...all 15 seconds of it. And the finished product looks nice. Though I feel the cream cheese is overpowering the caramel a bit. Now the test comes....can I frost these cupcakes so that they look somewhat normal? What's normal? Seriously, I've had a whole weekend of Doctor Who.....I've seen things. Cupcakes have been frosted! And I added some skor bits and a piece of caramelia for decoration. 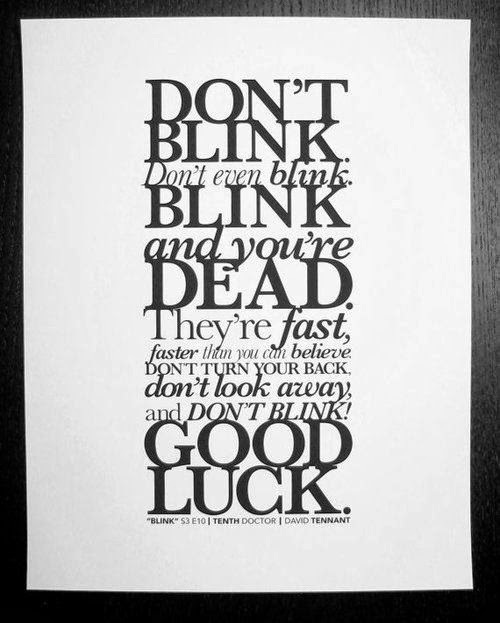 See what happens when you blink! I warned you. Great cupcakes! 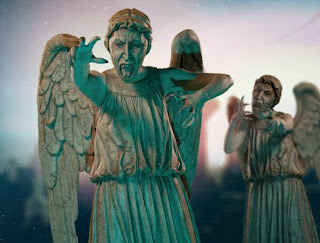 I caught a bit of the weeklong lead-up to the Doctor Who 50th anniversary episode this week on BBC America. What a great show! Love your cupcakes! So cute! I was going to go the cupcake route, but ended up making the layer cake.